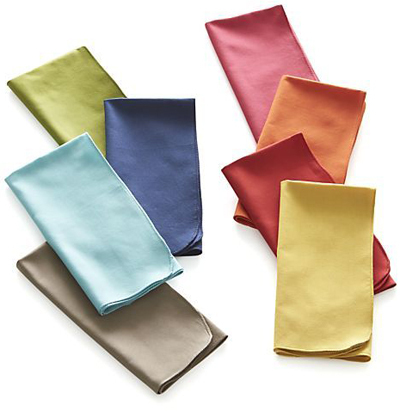 Brighten the indoor or outdoor table with this brilliant Array Dinner Napkins Set of Eight featuring distinctive rounded corners and serged hems. $29.95. Free shipping. Buy here.